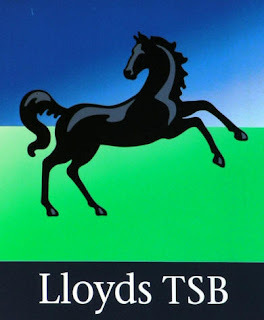 By now everyone would be aware of Lloyds TSB and its role in helping Israel enforce the seige of Gaza. Back in November last year, Islamic Bank of Britain (IBB) sent a letter to Interpal saying that they have been asked by Lloyds TSB to cease all dealing with them. Many Muslims and non-Muslims in the UK took part in various demonstrations asking for them to withdraw their threats and to provide an explanation for this unreasonable demand but no explanation was provided. The only thing we poor people could have done is to move our accounts and money if we had in this bank to somewhere else, to show our displeasure. And thats what we did. Bank insiders admit that they have seen vast amounts of money being transferred to other banks recently. According to some estimates, around 230 million pounds have been transferred out of Lloyds TSB by people who have raised objections to the bank. Its estimated that around 150 million pounds belonged to Muslims. This amount would not have made much difference to them normally except for the fact that they are having tough times due to credit crunch. Lloyds TSB decided to acquire another bank but the deal turned sour and they have recently reported massive losses of upto £10 billion. In this situation if more people move their money out of this bank then it will really hurt them. When I asked few people who had already moved their money out, if they have informaed the bank what they have done and why, they all shied away. This I this is not good enough. We need to let them know what they have done wrong and as a result what we are doing to them. Lets hurt this bank while we can and get an apology out of them. As far as Interpal is concerned, they have again been vindicated by the UK charity commission as no inappropriate or biased distribution of aid was found.